The kids may be back in school, but the calendar still says its summer! We have one more post to share with you in our Summer Cocktail Series. 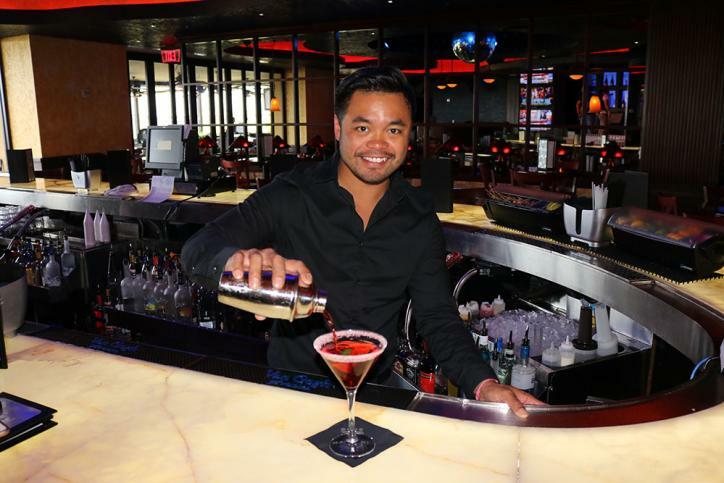 This week we visited the popular Blue Martini Lounge located in Golden Nugget Lake Charles. They specialize in tempting classic and newly-crafted martinis. Their menu offers an impressive 42 different varieties! Decisions, decisions . . .
Blue Martini Lounge hosts corporate-wide events throughout the year such as Derby Day in May, Little Black Dress Event in July, and a Halloween Bash. They offer nightly live entertainment. Find a seat by the dance floor, at the bar, a cozy corner booth, or relax on the patio and watch the barges churn down the Calcasieu River Ship Channel. 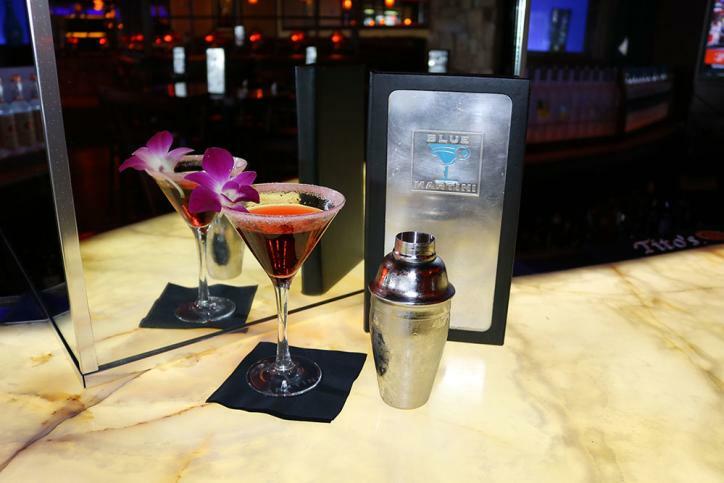 Blue Martini caters to the late night party crowd, but go early for Happy Hour, 4 – 7 p.m. for half price martinis and discounts on high end appetizers and dishes. Not sure which drink to choose? Their signature drink, naturally, is the Blue Martini, a cotton candy sweet cocktail embellished with a playful blue glow stick. Castro says their second most popular cocktail is the Pomegranate Martini, a fruity ruby red libation. “They’re very popular with the ladies,” he adds. Rim a martini glass with pomegranate sugar.